Expect BMW’s electric i Division tech to spill over into Rolls-Royce and the M Division as well. With the Frankfurt Motor Show on the horizon and BMW going nuts with drool-inducing concepts, Chairman of the Board of Management of BMW AG Harald Krüger thought he’d take the time to give us a more clear outline of what BMW’s future will look like. Make no mistake: despite the fact that the i3 falls short of other EVs like the Chevy Bolt and that BMW still seems obsessed with big performance numbers—exemplified by the new M5 and upcoming M8—the Blue and White roundel is still going electric. BMW’s push is so fierce that Krüger has gone right ahead and promised that 25 electrified Bimmers will be on the road by 2025. Krüger isn’t just using “electrified” as a buzzword to get EV fanatics happy about a few hybrids because out of those 25 models, 12 will be fully electric. To help customers and caffeinated journalists alike, Krüger has also announced that going forward, all full-electric BMWs will be marketed and sold under the dedicated i brand, including a fully electric X3 SUV that will undoubtedly be one of the best reasons to not wait up for the Tesla Model Y. 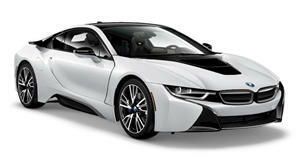 To maintain profitability, BMW will freely share technology between the i Division and its other sub brands. Yes, that includes Rolls-Royce and the BMW M Division as well. Noble as this move might seem to members of the environmental crusade, it’s something BMW must do as cities and countries across the world begin to announce bans on any sort of internal combustion engine—whether oil-burning or filled with spark plugs. It’s also something that BMW can do more easily as its grasp of electric technology has gotten better one billion-euro R&D investment at a time. 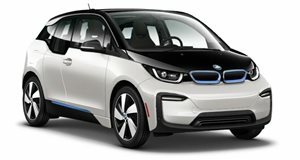 With the i3 and i8 leading the charge, we’ll soon see more practical models follow with more range and—thanks to a partnership between BMW, Mercedes, Volkswagen AG, and Ford for electric charging stations—a means for BMW to more directly take on Tesla as well as its existing competitors that are partaking in the shift.